Ready to take a quick spin around our garden? 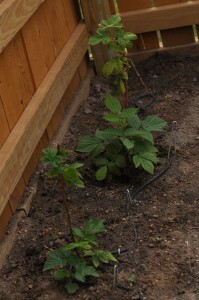 I’ve posted about building the garden and planting it and the challenges associated with growing ANYTHING along Colorado’s Front Range. This month I’m posting about our harvest! Our garden is completely walled for wind and rabbits. 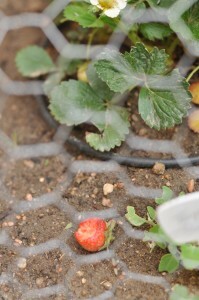 Unfortunately the birds are left as the sole garden predators, and they are decimating our strawberries. The good news is, the strawberries are growing like crazy. The bad news is, all the ripening ones have bites out of them. My chicken wire cover does have some gaps and as I get some time I will get the gaps closed off. I’m amazed at the tenacity of the birds, low-crawling under the low hanging chicken wire. Strawberries are a BIG hit with them. The persistence of the birds with the strawberries makes me wonder how our raspberries will fare when they eventually start to produce. I haven’t even looked it up to see if these healthy bushes will produce this year or next, but when they do, we will have to cover them. The tomato plants went from hanging in there to growing like mad. I have not measured them as I intended to do as a science project with the kids, but next year, we will definitely be measuring and charting the growth. 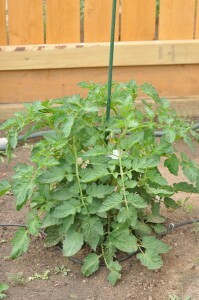 Most of the tomato plants are now bearing, and they’re all still green. Again, I have no idea when these guys will turn ripe, so every day is a surprise to go see what is happening in the garden. Are they red yet? no? 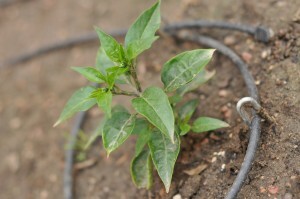 maybe tomorrow..
Bell peppers are doing great, little tiny fruit is showing on the plants. 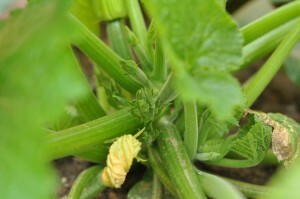 Zucchini squash are growing huge, which I am very interested in. 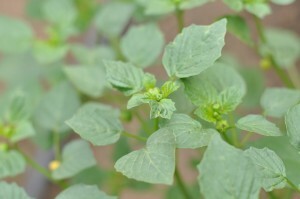 My favorite vegetable is going to be in abundance very soon! Look at these little guys in there! 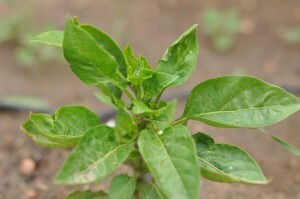 Little jalapeno plants planted at the end of May have started slow after some initial cold weather, but they appear to be doing great now. I actually have two tiny seedlings that survived the post-Mothers’ Day cold rain deluge. They are clinging to life and may not bear at all through frost, tough to say. I’m not betting on it. 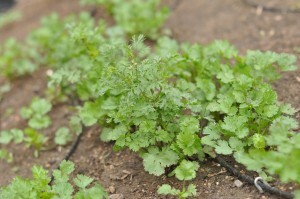 And my cilantro bed. Lovely to look at. The birds like it too, since I have been planting more seeds every four weeks since the beginning of May. Hopefully they’ll miss some of the seeds so I can have a continuous supply of cilantro all summer. Here is our first harvest. 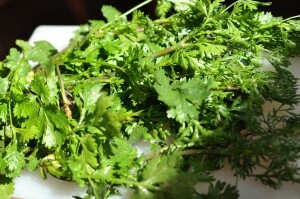 Fresh cilantro for tacos. Yum! My kids have been learning along with me out in the garden. 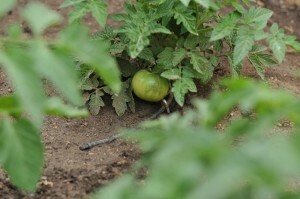 They know that plants need sun, water, room to grow, protection from pests and the elements, and good soil. They know which of our garden is fruit and which is vegetable. They know the parts of the plants. They know that birds like to eat seeds and berries. Lots of good science to learn out in the garden! 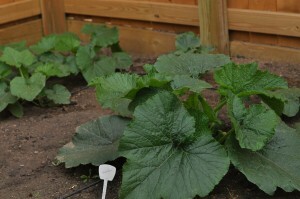 For more great garden photos and stories, check out the rest of the Homeschool Village Garden Challenge linkup below! And if you have any bird deterrence hints, please leave a comment and share them with me!